What if I told you that meditating for just 10 minutes a day could make a profound positive change in yourself and your life? Would you be more likely to do it, if you don’t already? There could be thousands of reasons (I’ll call them ‘excuses’) why taking a few minutes out of your day to clear your mind and meditate may not interest you. Trust me, I have heard them all! Before we get down to the nitty gritty details of all the grandiose benefits of meditation–let me first try to launder any misconceptions you may have. Most of these fallacies I have heard over and over from my close friends (yeah, you know who you are)! Now is the time to lay these crazy thoughts to rest! Guess what? You aren’t alone. In fact, it can be frustrating when trying to ignore the millions of thoughts that are arising! What you can do is simply sit back and watch these thoughts come and go without any judgment. Like a spectator in your own body. The more you let these thoughts breeze calmly through yourself the more likely they will eventually subside and the more relaxed you will become. Meditation can happen many different ways. If you are unable sit in a comfortable cross-legged position for a long period of time try something different! Sit on the couch, prop yourself up with cushions or find a more appealing environment. Just don’t lie down–you may fall asleep! Also, you may want to incorporate more stretching activities or a solid yoga practice in your routine. Therefore, allowing your body to sit still and focus more on preparing your mind for a better meditation session. In fact, did you know the purpose of yoga is to prepare the body to sit for longer periods of time to meditate? Hang on a minute. Weird? Hocus pocus? What is so weird about sitting and breathing? You do that naturally every single day, right? Nobody said if you sit alone for a few minutes every day that eventually you will be expected to sit in a lotus position, wearing robes, chanting mantras under a tree for hours a day! If you want to and that’s your thing, great! Having a healthy meditation practice is not tied to a certain religion (unless you need that) or belief system. The truth is, finding a moment to sit still and watch your thoughts while focusing on your breath can be truly rewarding and we will get to that in just a moment. Pump the brakes! You don’t have the time? How did you find the time to read this article? To check Instagram or see what is happening on Facebook? How did you find the time to check the scores on that game or to shop that amazing online designer store? Yeah, I know what you mean. I’ve been there too. And, I am not buying any of that! Eventually, you will find, when meditation becomes a daily routine you may ask yourself how you ever went a day in your life without meditating before! Lowers Stress: Yeah, we’ve heard that. How does it lower stress? Meditation allows you to control your nervous system and your emotions. Anger issues anyone? Just ten minutes a day can take you from being mad at the world to feeling on top of the world! But seriously, studies have shown that the more you do it the more your brain actually physically changes! We all need a moment to disconnect from what we know as reality. Meditation is a path towards that. 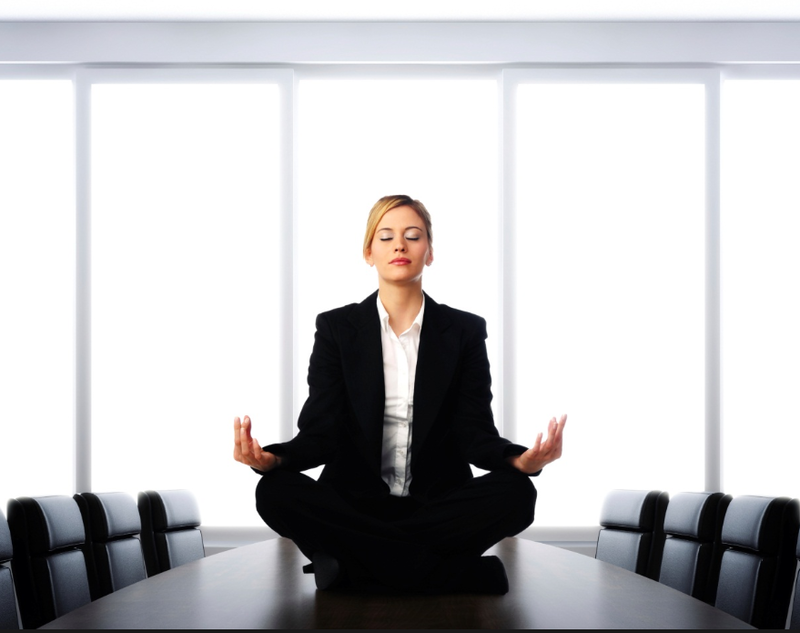 Reduces Anxiety: Research has shown that 90% of those who have a consistent mediation practice have a significant reduction in anxiety levels. It’s worth a try, right? Improves Relationships: You get to know your true selves. Once you get to know your mind and you see the fluctuations happening inside you become more humble and more comfortable with yourself. We all need that. And, it allows others to get along better with you and allows you to be more accepting of others. The benefits are two fold, done and done. Helps you focus: Who couldn’t use a little more focus during working hours or at home with family and kids and dinner plans and social lives? Meditators report that finding this focus during their practice flows over into their work and personal lives. In our bustling world of clear to closes, rushes, exceptions, timelines and deadlines a stronger focus on our work could bring on many positive change and outcome! The long list of benefits definitely does NOT stop there. So, here is your challenge: try it and see how you feel and I will wager that you will feel a difference on your first attempt. The good news is there are so many different ways of doing it if you don’t know how to start. Download a mobile app, sit quietly at home or find a group. There are also so many different kinds, test drive them all: mindfulness, mantra, incorporate it into a yoga class, transcendental meditation (Russell Brand, anyone? ), using mala beads and there are even walking meditation programs too. I trust you can find something that fits your likes. If you need any suggestions, I would love to hear from you. I’m positive you will want to shout to the mountain tops, besides saying that meditation is weird is ‘so 2010’. This entry was tagged Helps you focus, improve relationships, lower stress, meditation, reduce anxiety. Bookmark the permalink.